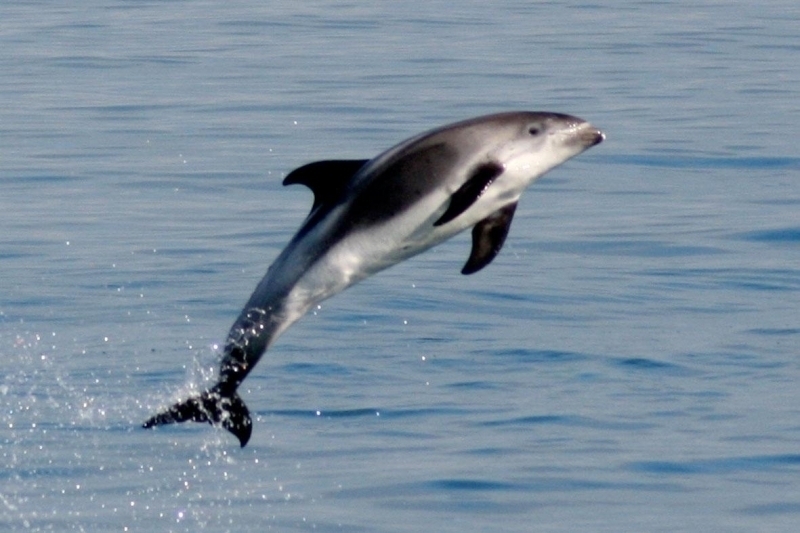 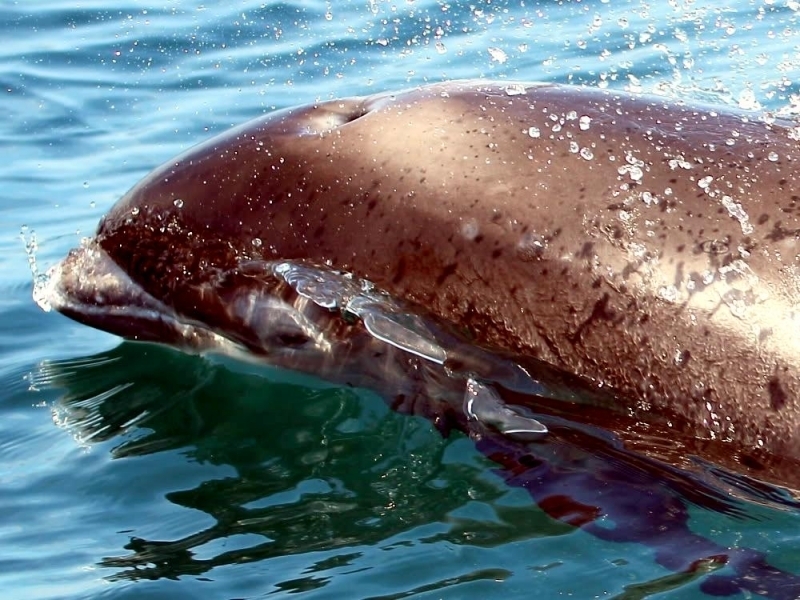 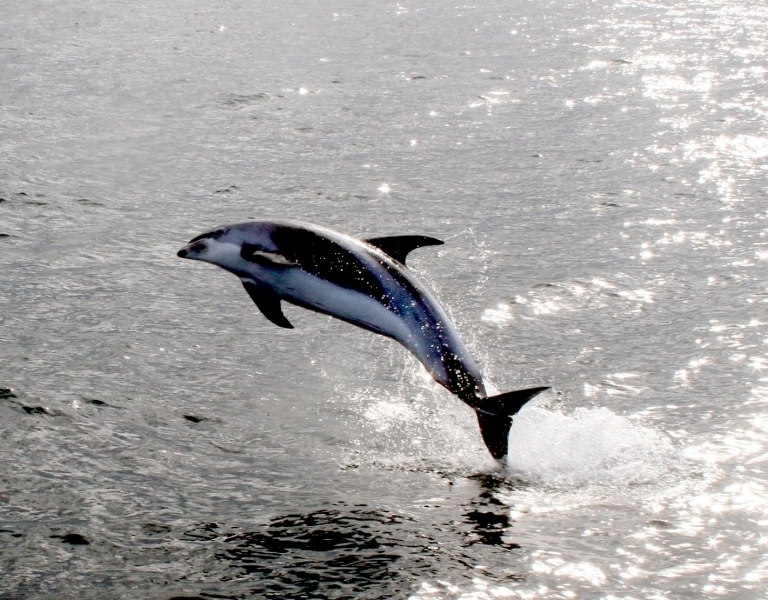 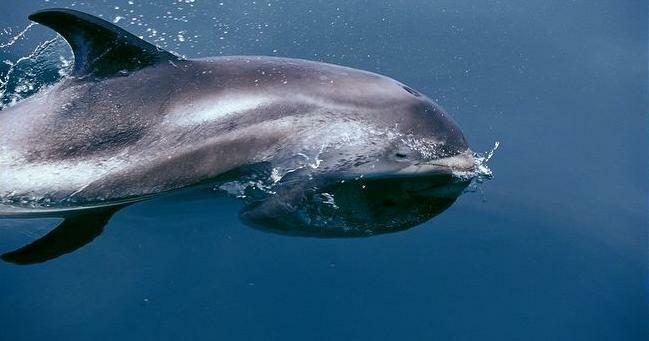 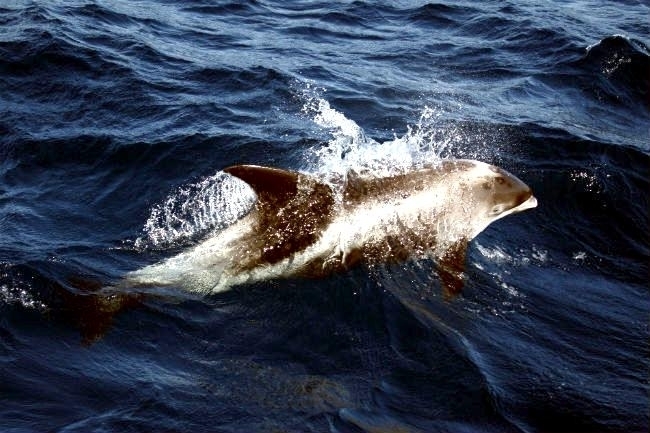 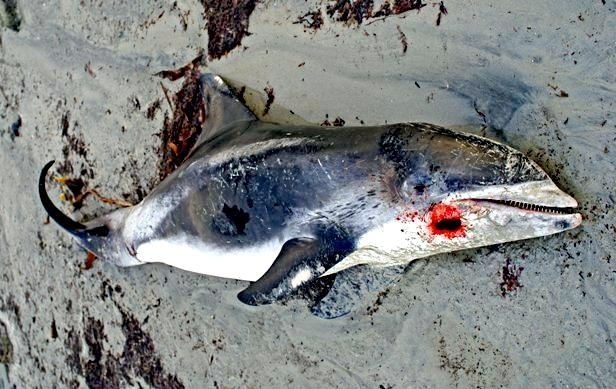 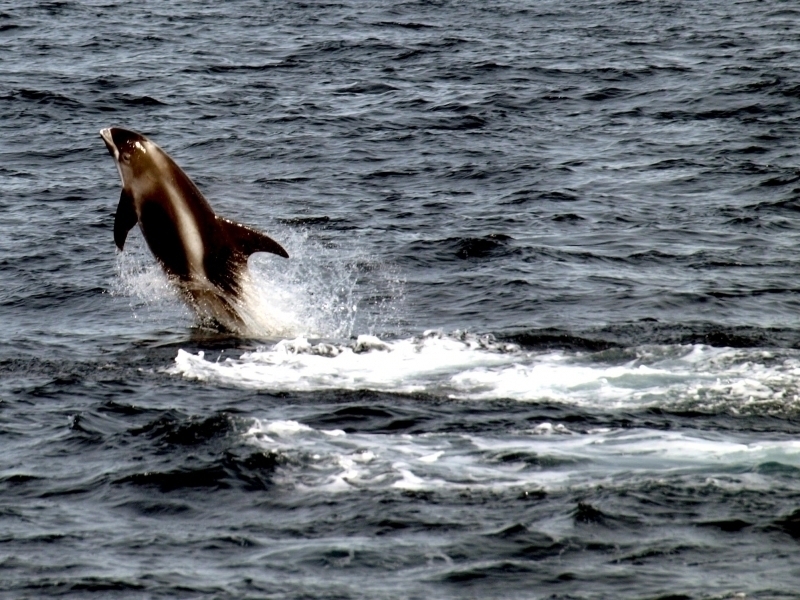 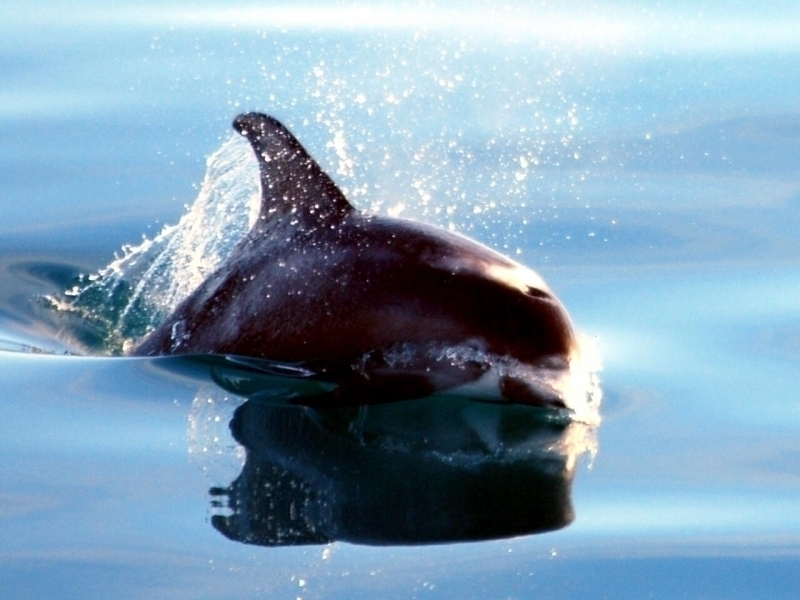 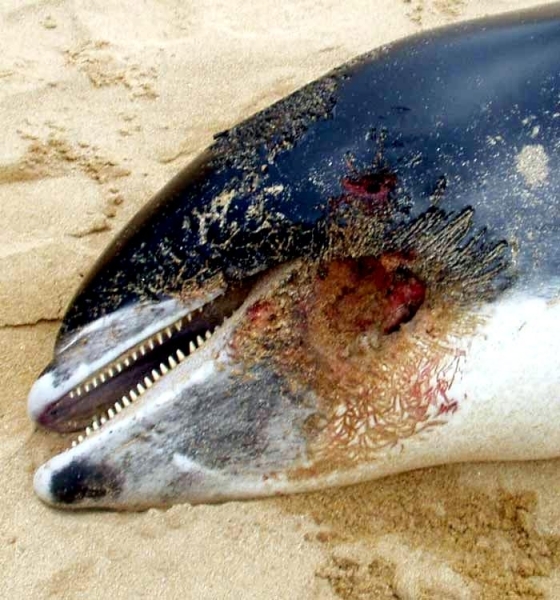 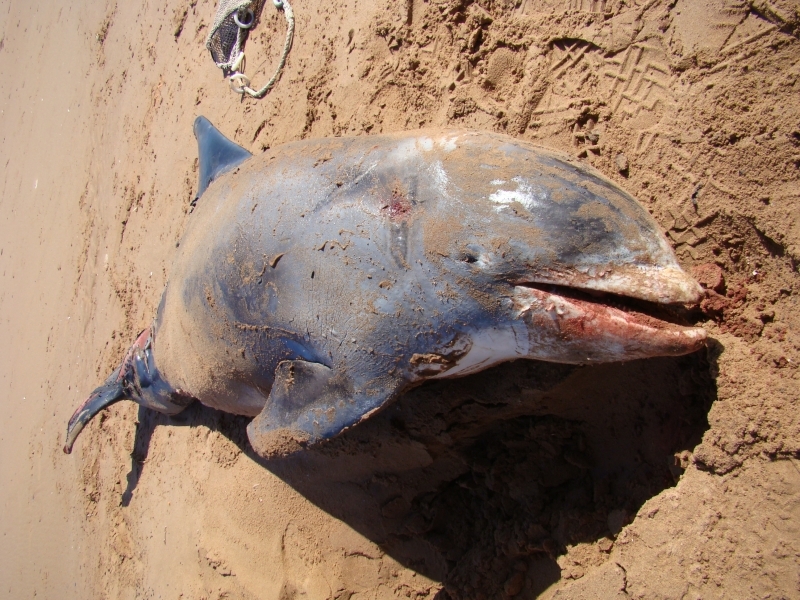 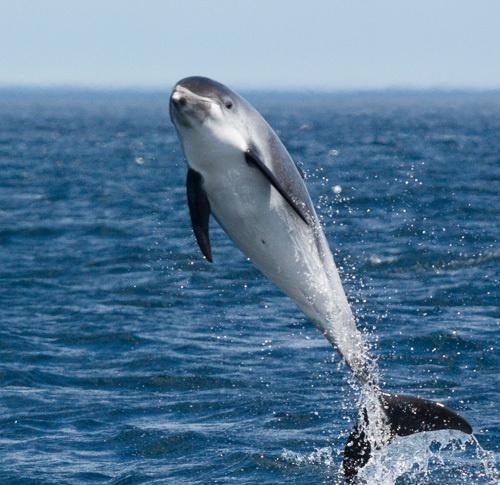 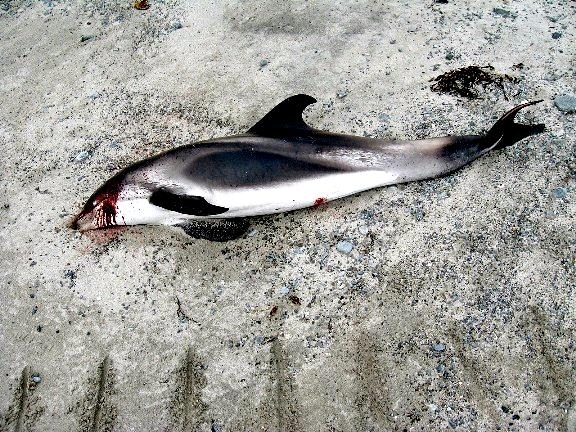 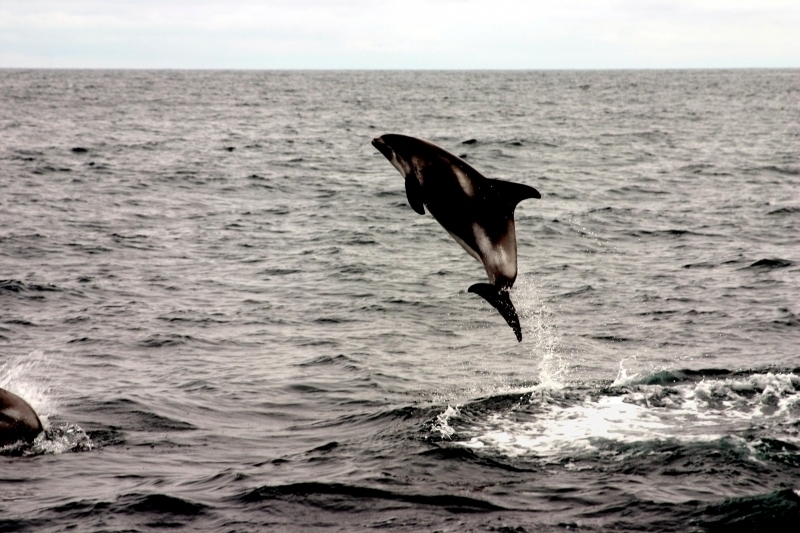 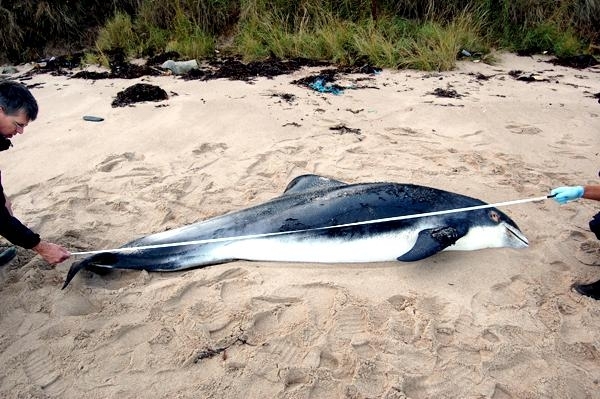 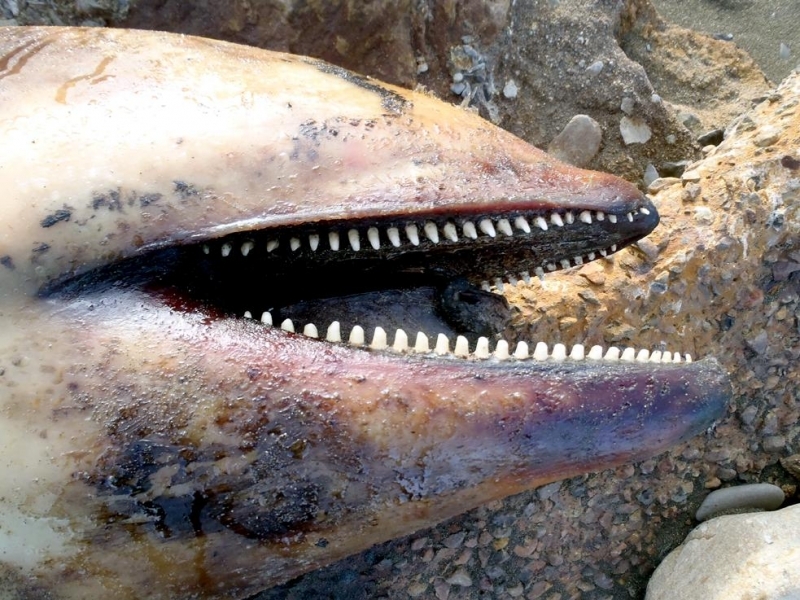 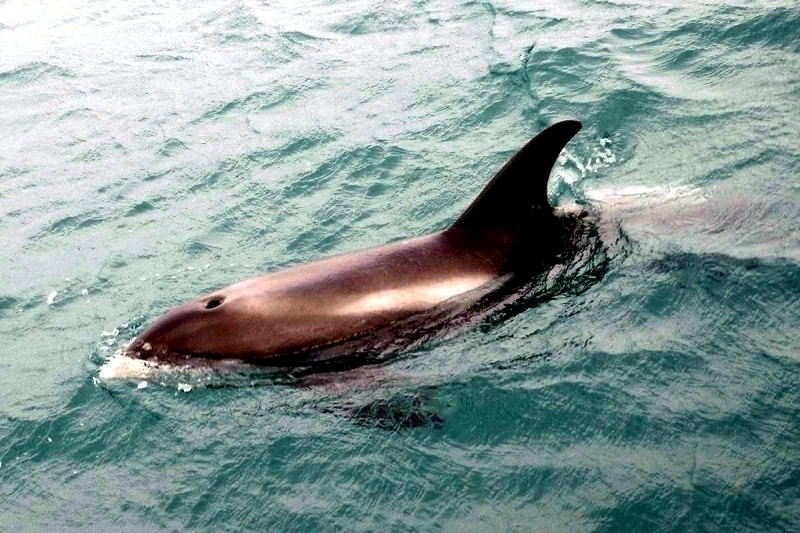 White-beaked Dolphins have a stocky body and vary in color throughout the species. 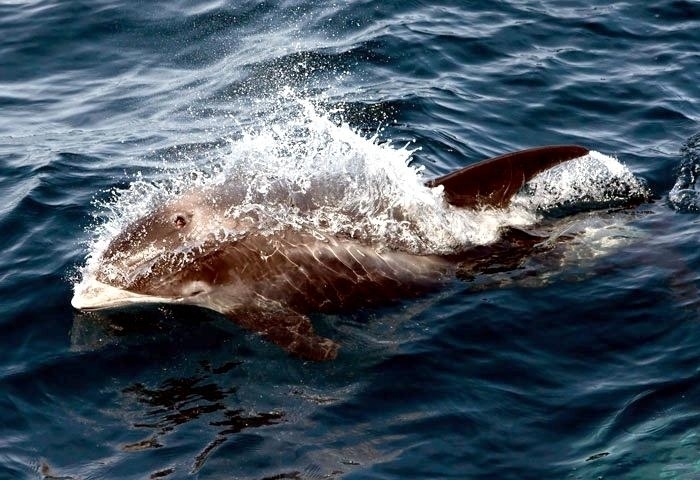 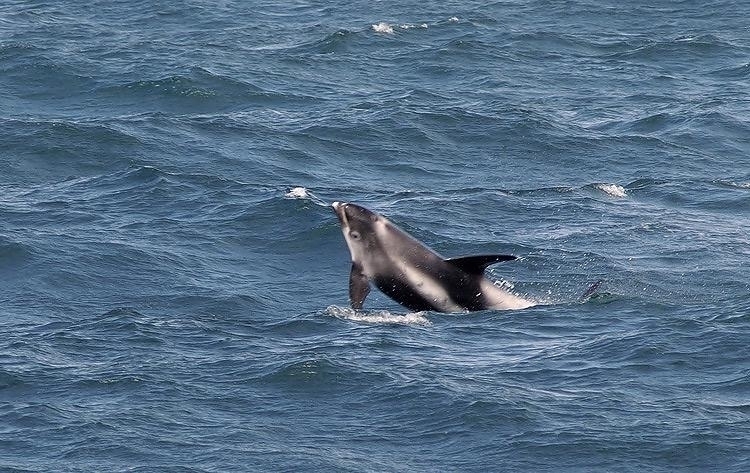 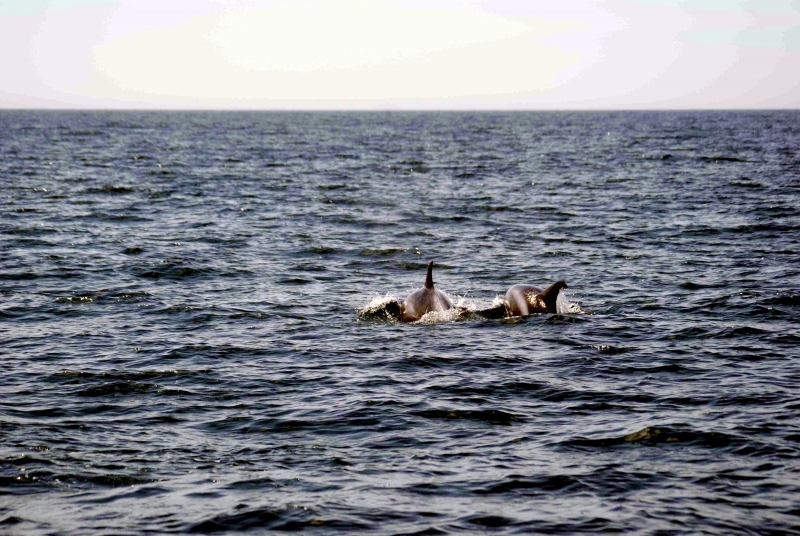 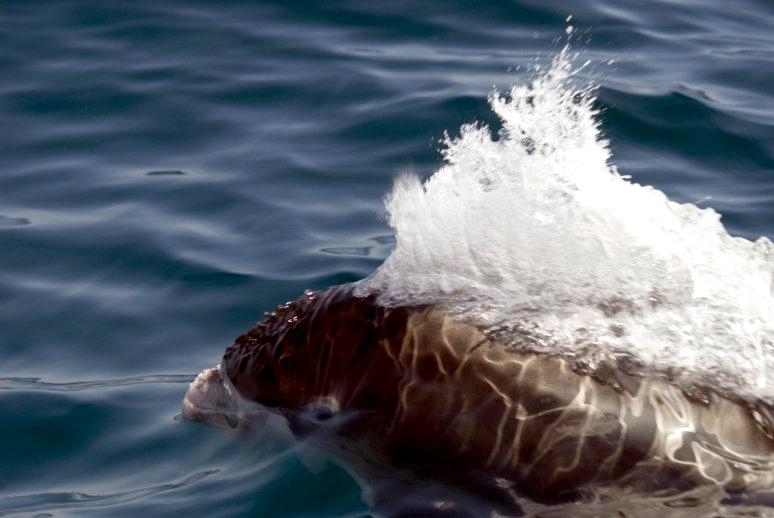 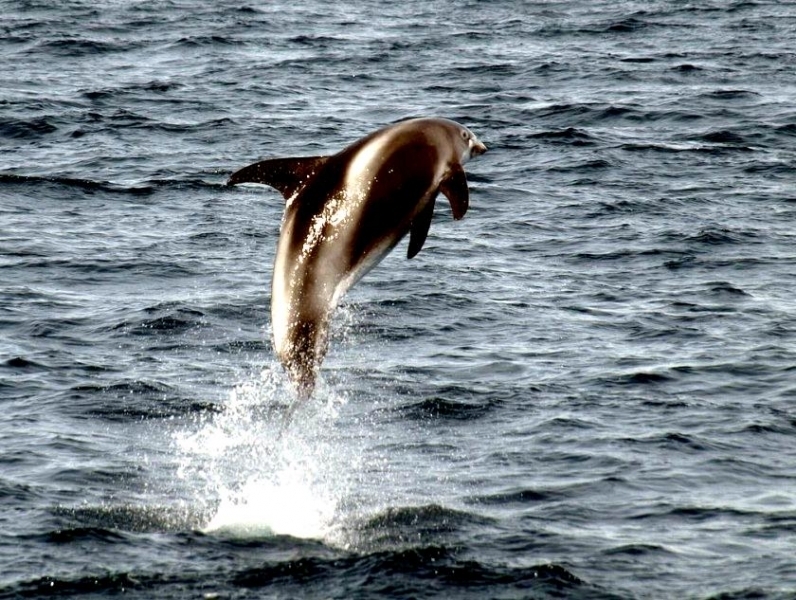 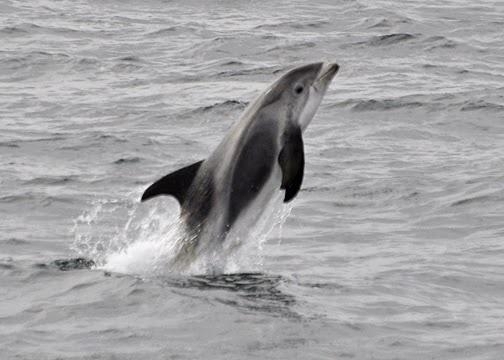 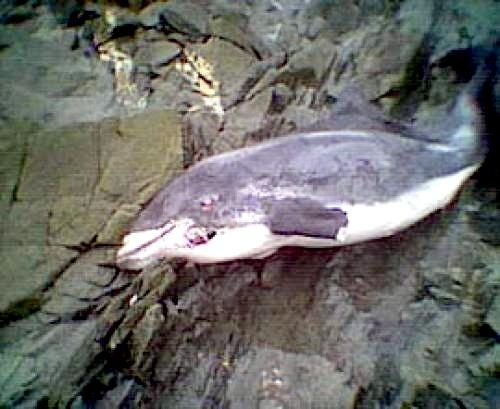 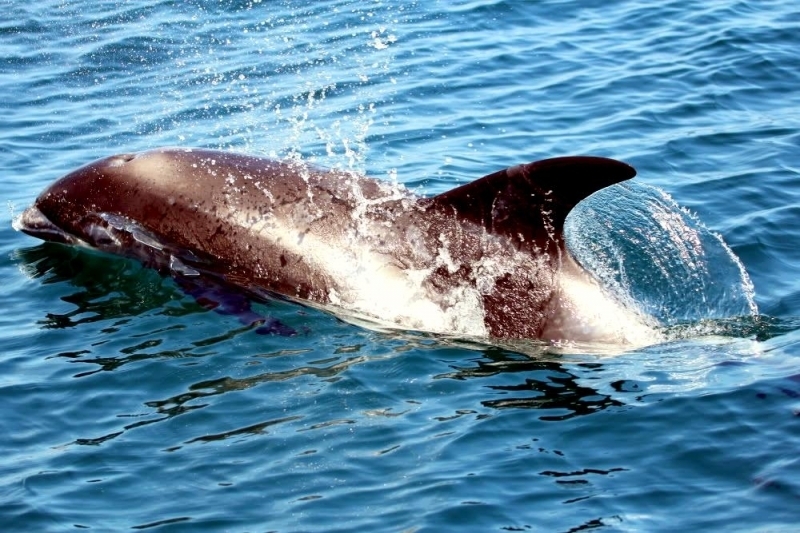 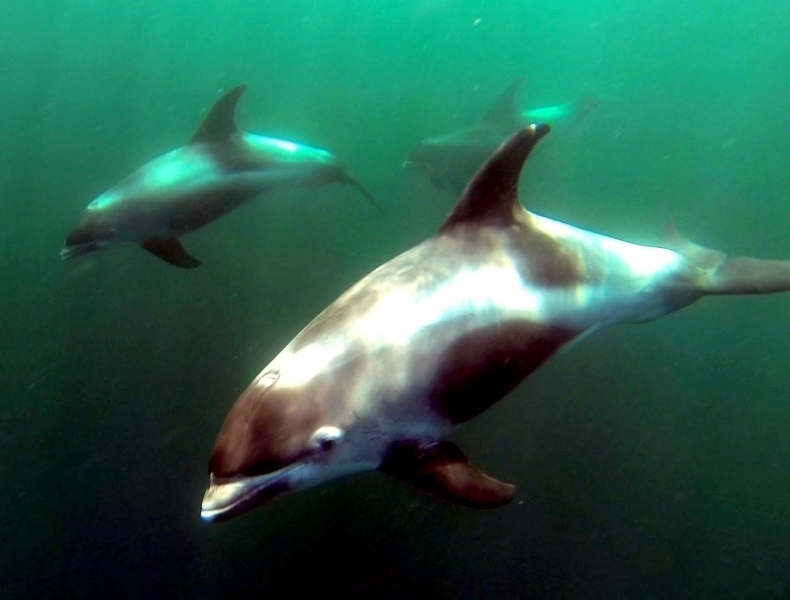 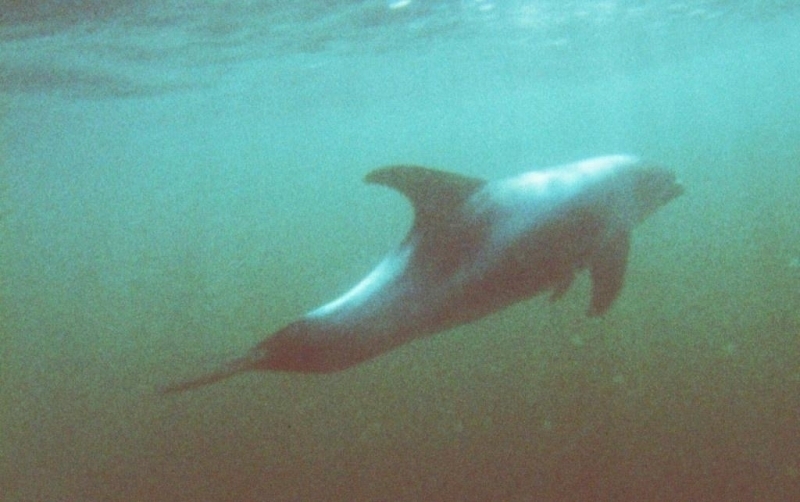 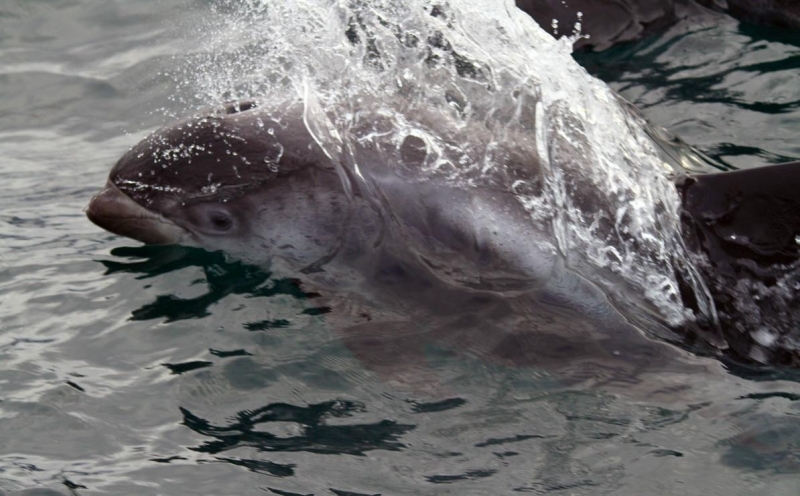 Generally, these dolphins are light gray to whitish in color with distinctive markings on their body such as a lighter gray stripe, a gray-brown patch or a white chevron-shaped stripe in front of their dorsal fin near their blowhole. 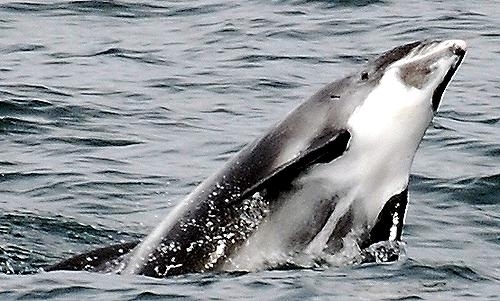 These markings may also extend to their eyes. 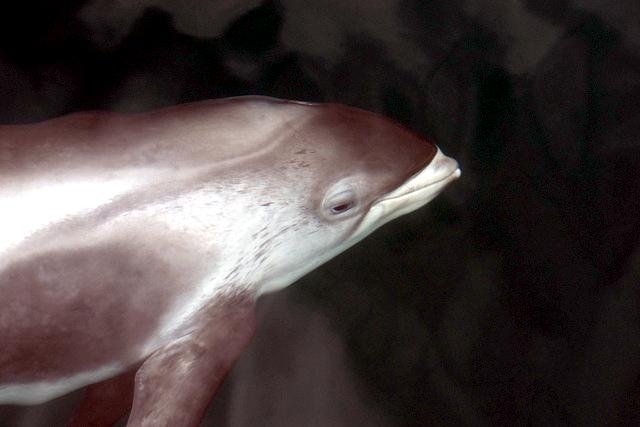 They have white beaks that measure about 5-8 centimeters long, which are sometimes mottled with light to dark gray spots or are entirely light gray in color. 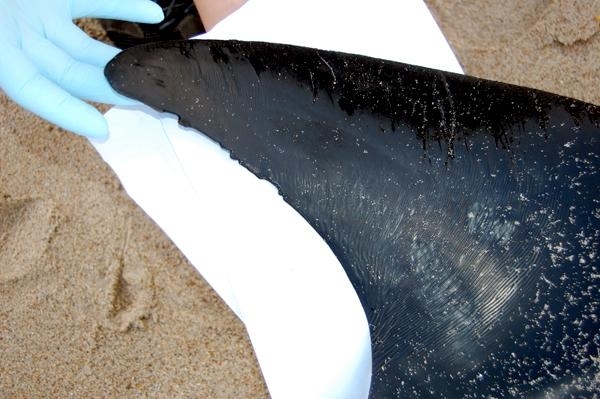 Their flukes (tails), tail stock and flippers are generally dark gray, but sometimes feature white markings near the base of their flippers and the underside of their flukes. 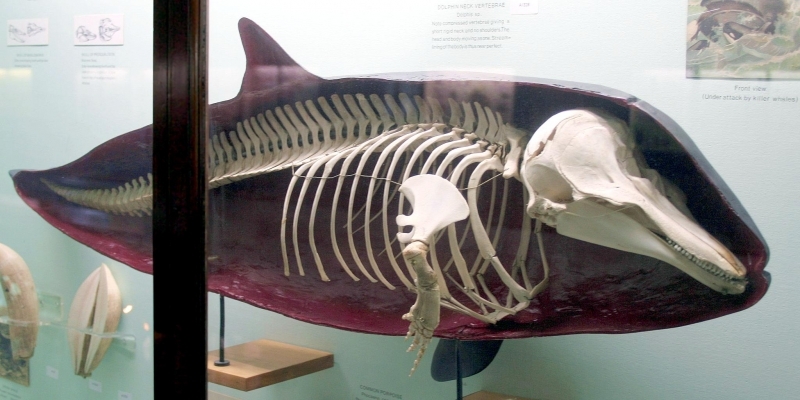 They are almost white on their ventral (under) sides. 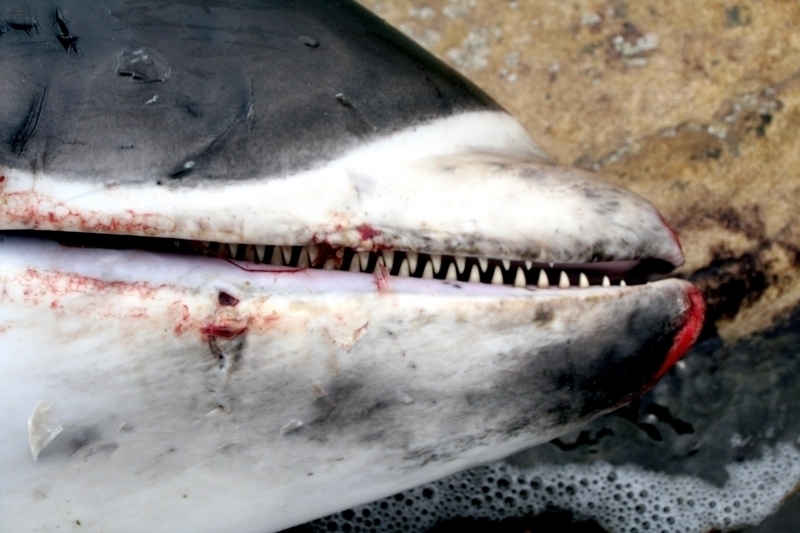 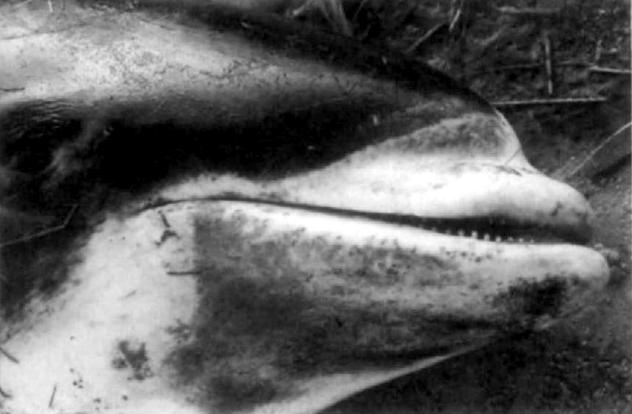 Juvenile White-beaked Dolphins have hairs on their upper lips and adults have 4 to 6 hair follicles on each side of their upper jaws. 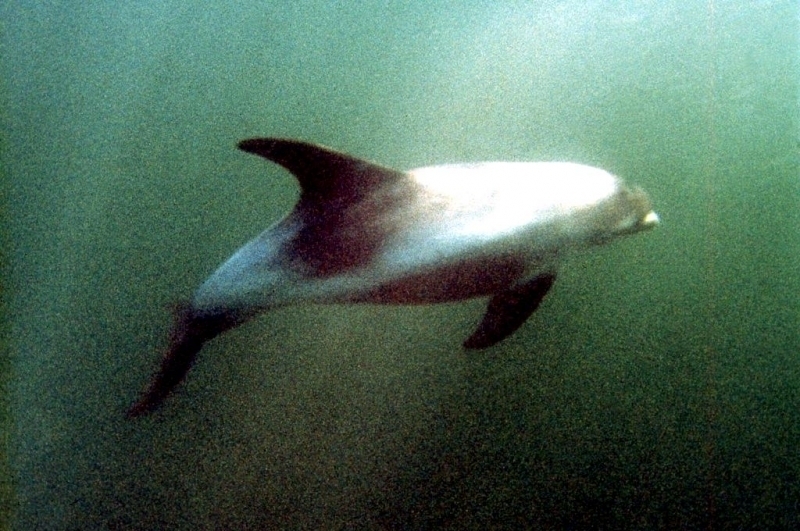 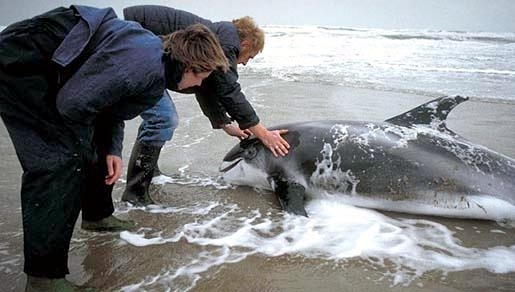 Their large, curved dorsal fins are rounded at the tips with dorsal fins and flukes appear to decrease in size as the dolphins mature. 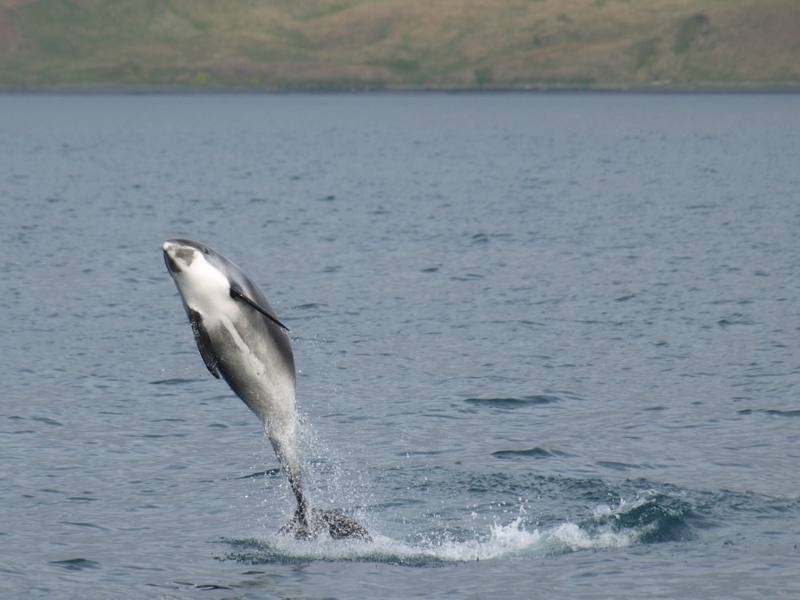 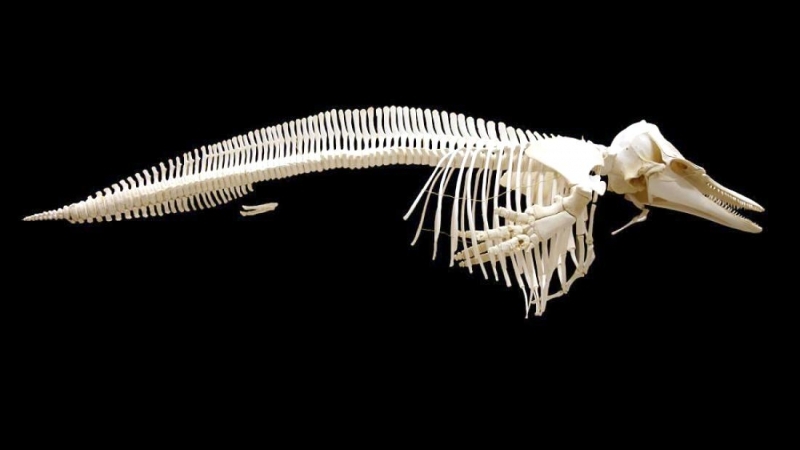 Their flippers are also large and can reach up to 19% of the total adult body length and the tail stock (the shaft part of their tail) of is tapered. 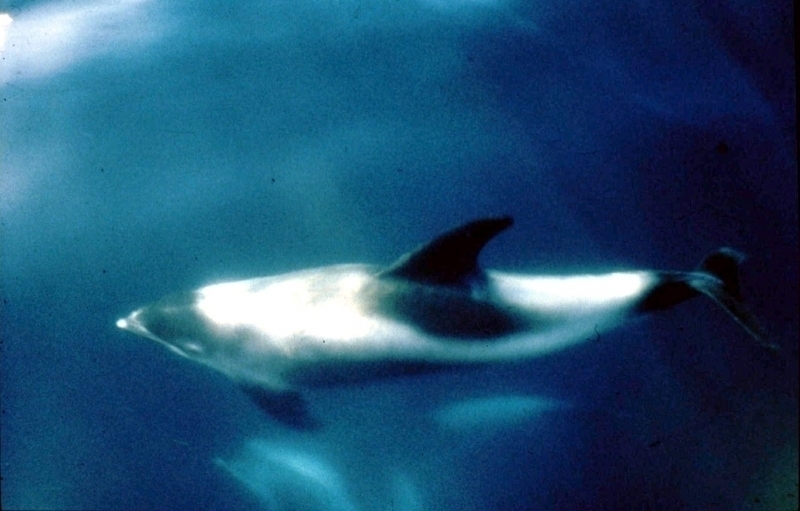 White-beaked Dolphins typically form pods of 10 to 35 individuals, although occasionally pods of several hundred animals have been reported. 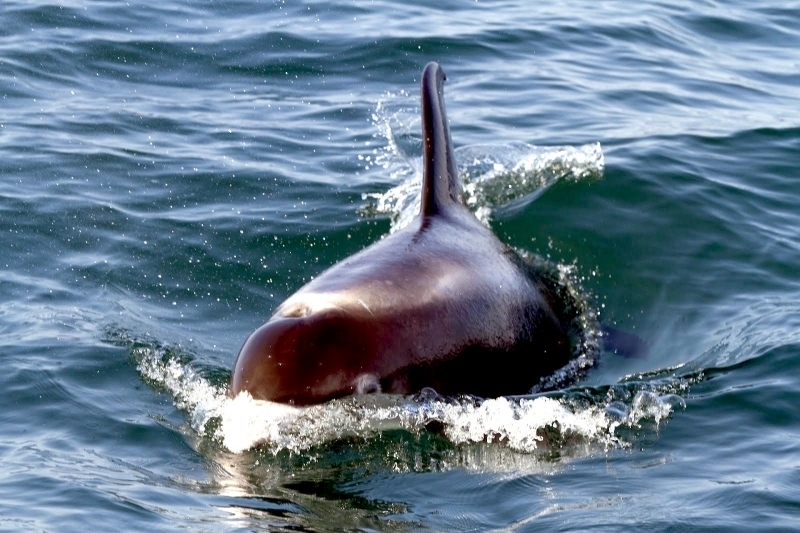 The largest pod observed contained about 1,500, however pods this size are rare and are thought to consist of several smaller sub-pods. 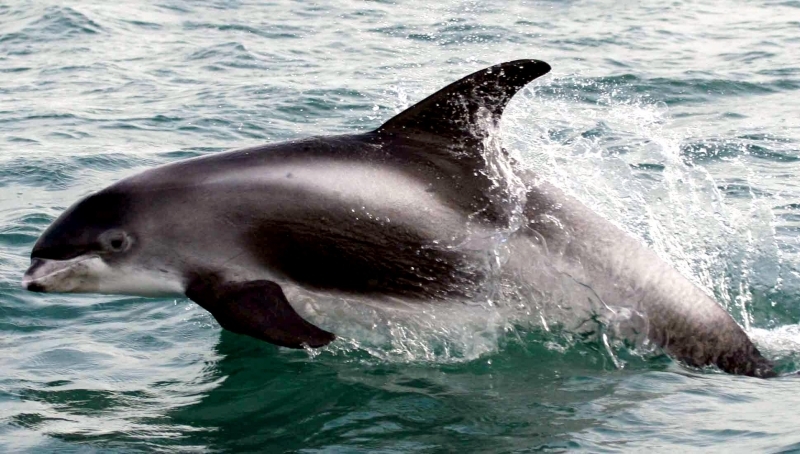 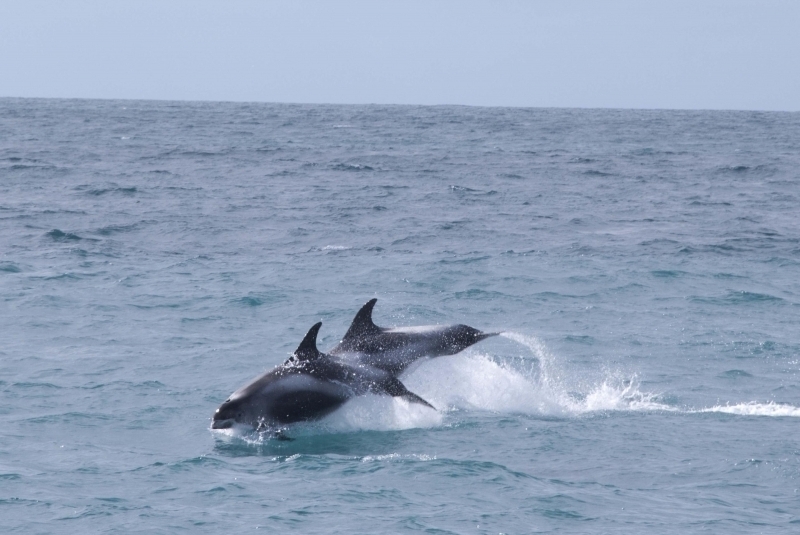 White-beaked Dolphins are known to bow ride and ride the waves behind the stern. 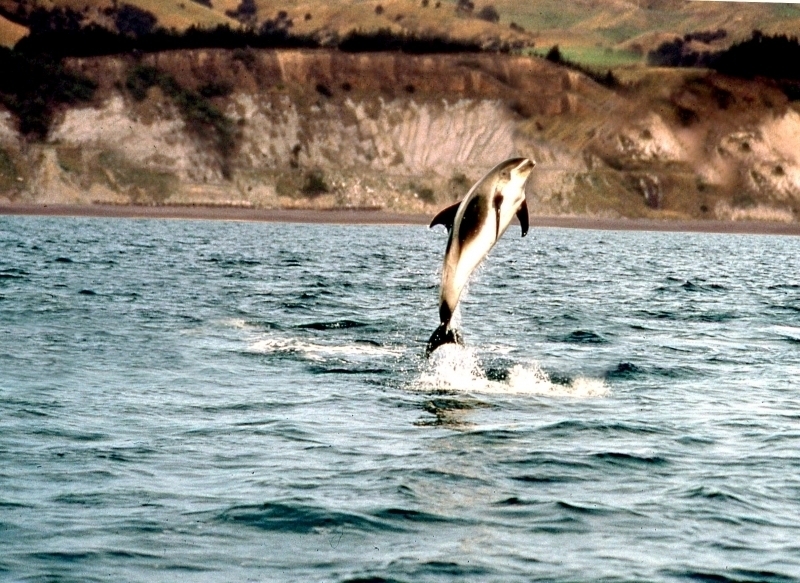 They are agile swimmers and are frequently observed leaping from the water. 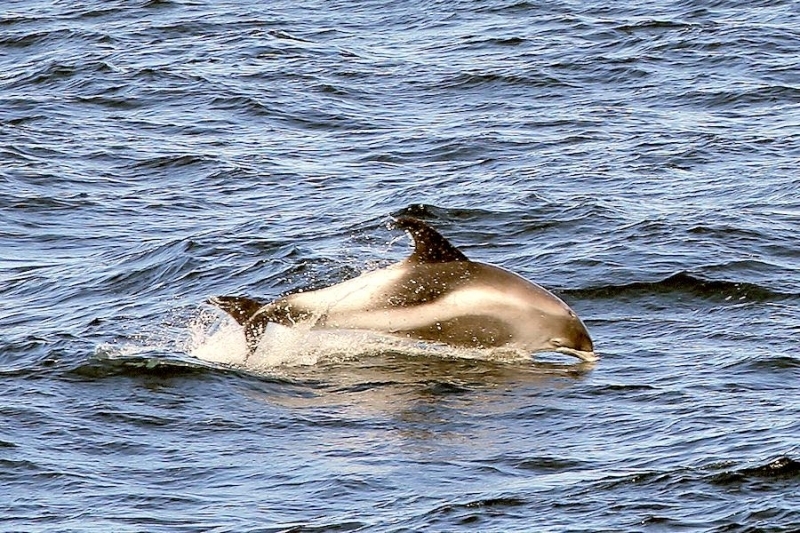 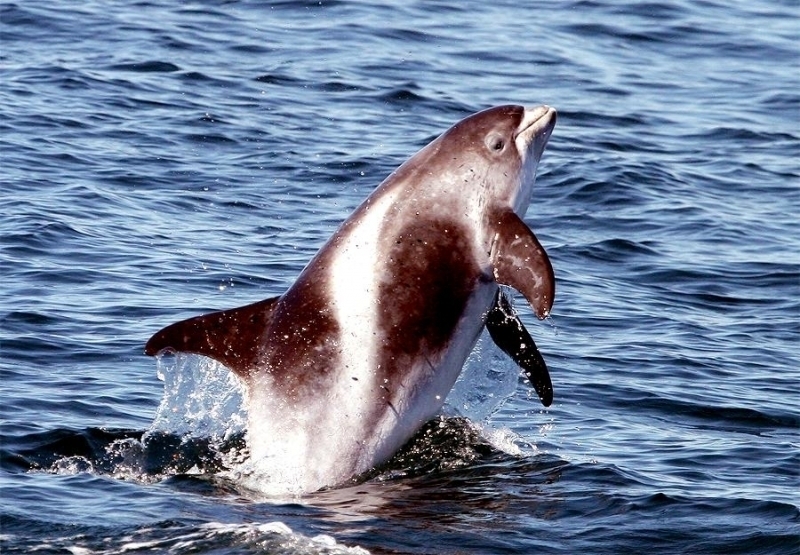 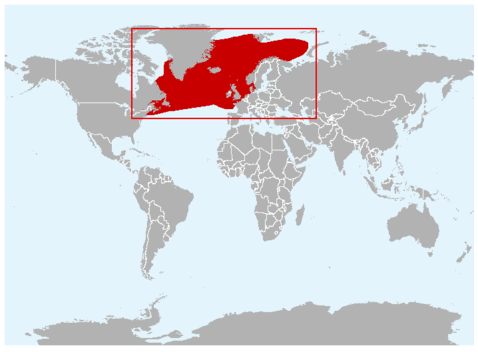 White-beaked Dolphins are found in North Atlantic waters from the Davis Strait and Cape Cod to the Barents Sea and the Baltic Sea. 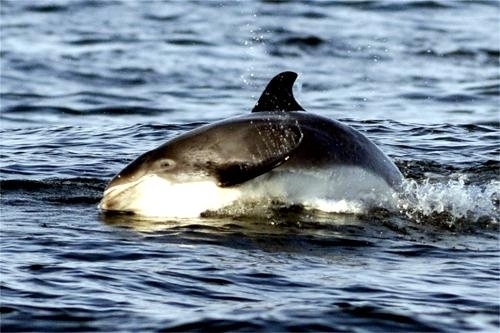 They generally prefers cool waters and migrates north into the Davis Strait during the spring and summer, then back to more southern waters in the autumn and winter. 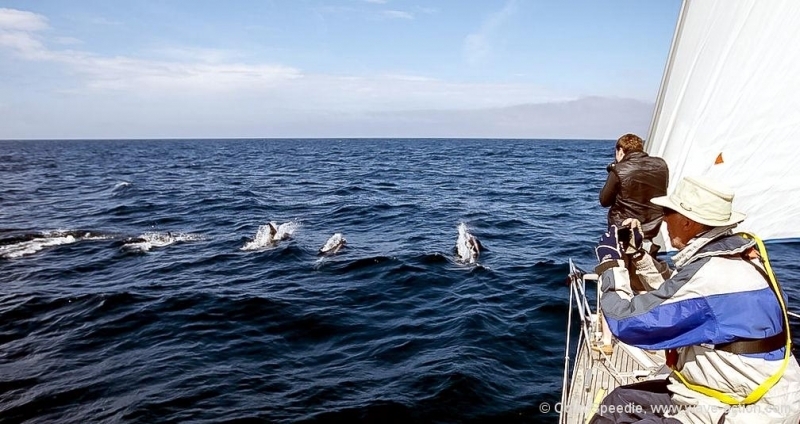 They feed on fish particularly clupeids, gadids and hake as well as squid, octopus and benthic crustaceans. 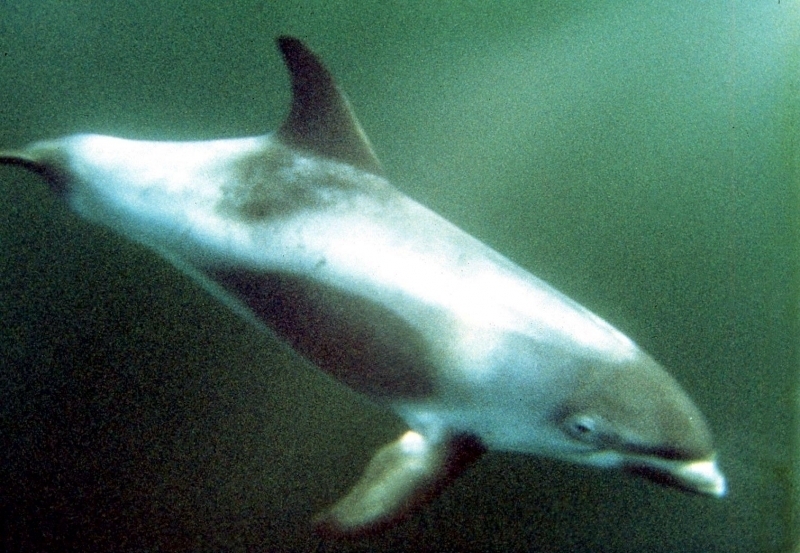 White-beaked Dolphins reach sexual maturity at a length of about 2 meters. 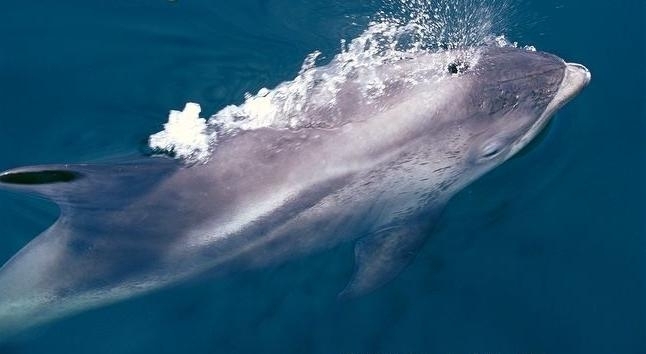 Females bear calves between June and September that measure about 1.15 meters long and weigh 40 kilograms.